Pardon my language, but I just couldn’t resist. I have seen many poses when people di all sorts of positions to get their best shot on something. This is by far the most interesting one. But hey, any position as long as we achieve our ultimate goal of producing good pictures is justified, right?! 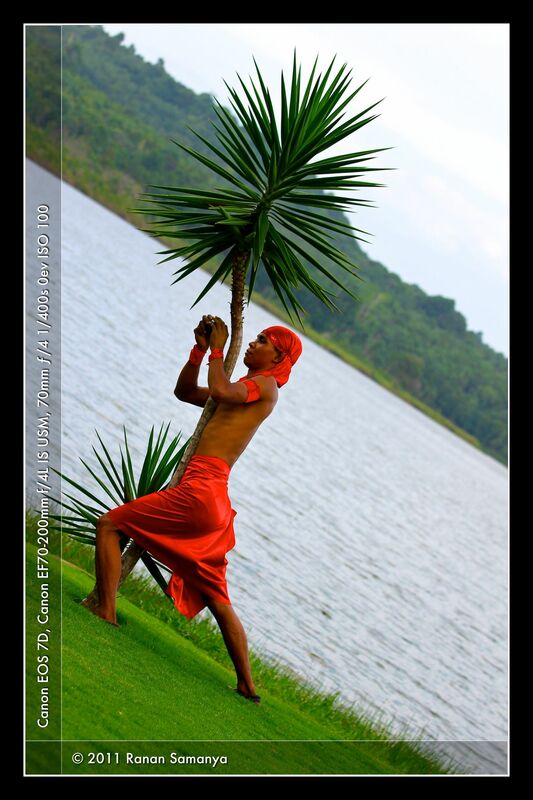 Taken before the opening of Bintan Cultural Festival 2011 at Bintan Resorts Reservoir Park yesterday, he was one of the dancers for that event. Zoom in up close and personal after the click on the image.